Chipotle Sweet Potato Tamales are a modern spin on Traditional Mexican Tamales that is fast and easy and won’t take all day to make. 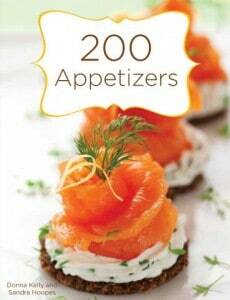 They are a fun way to add a little spice to your table for holidays or any weeknight. New England Meets Southwest in these tiny tamales made for a side dish for your holiday table. If you’re like me and you like a little kick of spice on every plate, you will appreciate these flavorful tamales designed as a side dish that blurs the line between sweet and savory. Forget the marshmallow topped 9 by 13 this year, I say, and add a little sass to your holiday meal. These tamales are a cinch to throw together, and have a delicious taste and creamy texture – all with just a little kick at the end. 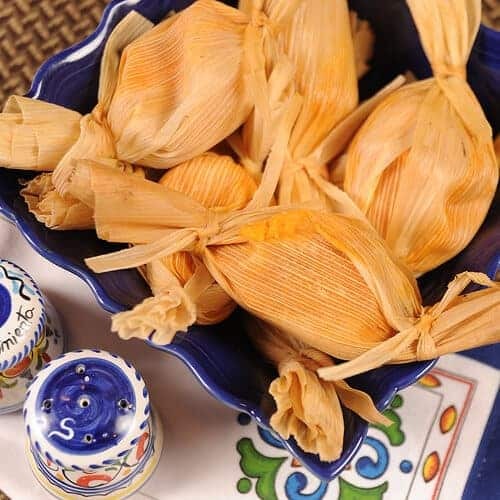 Now “T Day” doesn’t just stand for Turkey Day any more – – – try Tamale Day at your house! Cut sweet potatoes in half and place cut side down on a baking sheet. Bake for about an hour, until sweet potatoes are fork tender. Remove from oven and cool to room temperature/ Remove and discard skins and mash flesh with a potato masher until smooth. You should have 3 cups of mash. Add broth and butter to sweet potatoes. Mix together all remaining ingredients and then slowly stir into sweet potato mixture. Lay a whole husk flat on a cutting board. Spread ⅓ cup sweet potato mixture on center of husk. Roll sides in, surrounding mixture completely. Tie both ends with long strips of corn husks. Steam tamales over boiling water for 60 to 90 minutes, until masa mixture is firm. Serve immediately. Thanks, Kalyn – you DREAM in “Blog,” don’t you??? I gave up on homemade tamales years ago – too much work for one cook to enjoy. Now you’re tempting me back with this scrumptious sounding recipe. Thanks… I think. SeattleDee – Thanks for your always fun comments! These are very easy and fun – the only hassle is the steaming. These would definitely make a unique side dish for Thanksgiving! I’ve never made tamales before, but this certainly makes me want to try!! I hope you all have a wonderful holiday! These little bundles are a great low-stress way to try tamale making!